David Maraniss is an associate editor at The Washington Post and a distinguished visiting professor at Vanderbilt University. He has won two Pulitzer Prizes for journalism and was a finalist three other times. 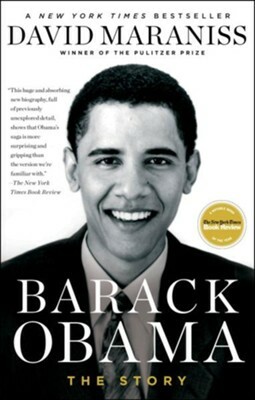 Among his bestselling books are biographies of Bill Clinton, Barack Obama, Roberto Clemente, and Vince Lombardi, and a trilogy about the 1960s  Rome 1960; Once in a Great City (winner of the RFK Book Prize); and They Marched into Sunlight (winner of the J. Anthony Lucas Prize and Pulitzer Finalist in History). A Good American Family is his twelfth book. I'm the author/artist and I want to review Barack Obama: The Story.